There has been a surge in the number of mobile apps being churned out recently. You will find users trying to lure the people via mobile apps. The different mobile apps are gauged on the basis of their quality and performance in the markets. If you want to gain loyalty from your customers, you need to attempt improving their experience while using your mobile app. User Experience is the sole instrument using which you can measure the performance of your app and the user reaction in the digital landscape. You need to create value, and give out an interface that is easy to use. Your end users should feel that the product has been specifically devised for them. Creating a good user experience can prove to be worthwhile for your app. 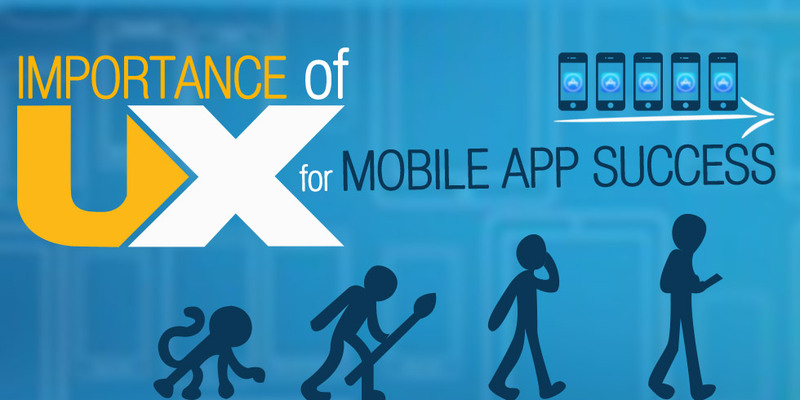 Let’s try and understand the importance of user experience for mobile app success. What do your users seek from the mobile app you are planning to give them? While, answers like productivity, efficiency and entertainment are all true, these answers remain incomplete without good and reliable user experience. Nobody likes an app that would offer productivity, but is filled with errors. They want a stable and extremely efficient app that has zero errors. If you can offer good experience, you are knocking the doors of both engagement and loyalty. You will have more returning customers if you have given them an engaging platform. If you improve your app’s user experience by including all possible solutions that your end user might need, then you will be able to reduce the support costs. Your app is the one place where your users can connect with you. Live chats, request for call, personal calls etc. are possible with the app. In fact, you can include all details of the product or services offered by you in the app, thus making it easier for your user to know all about you. An improved experience can lead to high levels of engagement. Satisfied customers are the key measurement index for the success of any business or service. If your app is able to give out good experience, it will definitely improve the customer satisfaction index. Chances are you are not offering a good user experience if you are not meeting their demands, or they are not using your app. Bad reviews, application getting deleted etc. are signs that you need to work on improving user experience. A good user experience increases the frequency of app usage, which results in higher sales, or increased clicks. This will definitely affect your revenues, which means, you are going to enter the profitable state. For this purpose, you need to design an excellent app that features the user requirements, and caters to their needs. You need to offer a solution that meets their expectations, which will get you repeat customers every time. Such apps are definitely promoted via word of mouth, which increases the success further. So, now you know why user experience matters. Semaphore Software has experience and expertise in developing mobile app solutions. We cater to the requirements of user experience design. Get in touch with us via info@semaphore-software.com.